From building igloos to snowboarding, everything little boys dream of comes true in winter. And to accompany them on their winter adventures, we have the Pine Cone Jacket Boys from Jack Wolfskin! 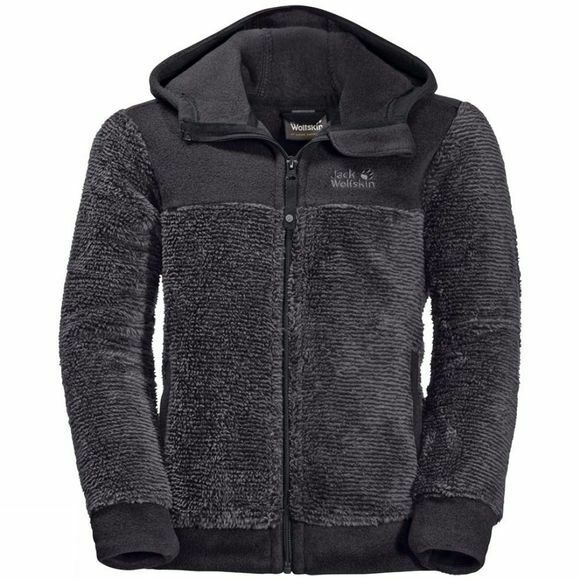 This fleece jacket will keep them warm in cold temperatures, wherever the adventure takes them. What's special about the Pine Cone coat is the high-loft fleece fabric, which imitates the structure of animal fur. It is extremely warm and cosy. The shoulders and cuffs, the areas most prone to wear and tear, consist of robust Nanuk 200 fleece for extra durability.